Admit it: the closer summer approaches, the more you anticipate holiday time and escape from the sansara of daily responsibilities. Even if you are not an office worker, summer weather and nature and so appealing that you do your best to find several days to switch off from the routine. We decided to make up a list of several not overly popular places of Georgia, real natural hideaways, where you can walk, chill, breathe, think. They are not among the top resorts that are featured in every guide, from our main page up to Lonely Planet, but we want to believe that you are eager to discover more about our country. This picturesque place in Imereti region is located in Khoni municipality, in 40 km from Kutaisi. As it often happens in Georgia, it’s more convenient and fast to take a taxi, a car or maybe join a guided tour to get to the place. In 2014 a new trail has been hanged at an altitude of 100-140 meter along the steep rock. The views from viewing platforms there are breathtaking! Wild nature, clear air, altitudes which make your head spin – you won’t leave the canyon unimpressed. In the village Zeda Gordi there is a informational center for the tourists, where the route through relict tree park of noble Dadiani family starts. It leads you to that hanging trail above the canyon. In the first park of the park there is a spring with pure water – take an empty bottle with you to have some water for the trip. The length of the route is the following: the path through the park is 2200 m, the hanging trail is 1800 m. As the altitude varies during the hike, you will have to conquer more than 500 steps! Approximately in 6 km from the canyon there is Kinchkha waterfall, the biggest in Georgia, which is enchanting you with grandiose movement of its waters. If you are so lucky that you travel there after a big rain or snow melting, you will see not just one, but two or even four full-flowing streams falling from the altitude of 80 meters. That’s why the waterfall is called “twins” sometimes. Around village Mleta near Georgian Military road, there is a wonderful place, which is featured in an old legend. According to it, many centuries ago a mighty bull called Loma guided Georgian slaves from Persian captivity. He led them uphill, with the icon of St. George between his horns, which was showing him the way. The mountain is called Lomisa after this bull. 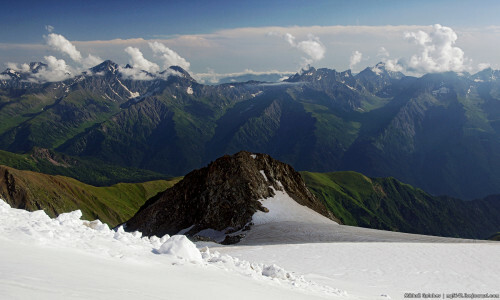 Reaching the top is possible on foot only – the hike takes 1.5 hours or more, depends on your physical preparation. A little X century monastery is standing at the mountain. A huge 30-kilogramm chain is kept there: the pilgrims take it to their shoulders, make three circles inside the church and pray. If the wish was sincere, it will come true. This Tushetian village will impress you a lot. It appears unexpectedly, as you are driving via the rocky road from Omalo. Overlooking the river, this peaceful place still has the spirit of Middle Ages (even though some building have been completely restored just recently). In couple of kilometers uphill there is another village-fortification, Kvavlo (Flower Village). In the summertime there are thousands of flowers around! The population of Dartlo consists of several people. Electricity is generated by solar batteries. Water is coming from the river nearby. Food – from summer gardens and sometimes from “lower” areas. Fantastic nature, serenity…The only sources of noise are the river and the cow bells. What do you think about such place for escape? Tiny climatic resort in the Georgian highlands, Shovi is a village in Racha, the region, which is not featured in mainstream top-ten-places-to-visit. 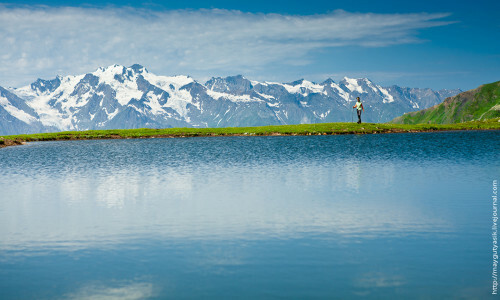 Alpine nature, couple of cottages to stay and plenty of space to camp – a good option for a retreat. 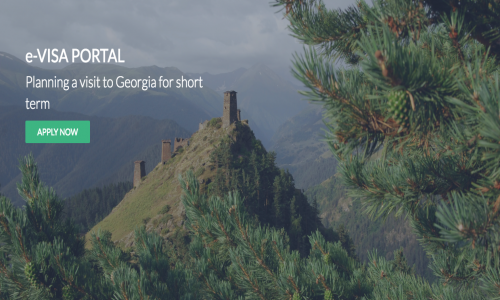 Mountains and dense forests make Shovi look mysterious, but don’t be scared: Georgia is still a safe place to be.